Almost everyone of us has gone through a period of loving passionately and unconditionally. This passage of time slowly makes our mind think in a similar way about our loved ones; we understand and start interpreting each other’s minds, habits and behaviors. Sometimes we forget how much we love each other. 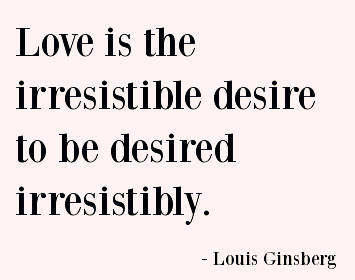 Check out these passionate love quotes to know more about the meaning of passionate love and its expression. Only when lovers connect mentally, can there be real passionate love. It’s beautiful when you find someone that slowly takes down all the walls you’ve built up around your mind and walks into your heart. It’s one thing to fall in love. It’s another to feel someone else falling in love with you, and to feel a responsibility toward that love. There is never a time or place for passionate love. It happens accidentally, in a heartbeat, in a single flashing, throbbing moment. Passionate love lets you find those hidden places in another person, even the ones they didn’t know were there, even the ones they wouldn’t have thought to call beautiful themselves. Passionate Love can be felt more only when it’s shared between. It cannot be found where it doesn’t exist, nor can it be hidden where it truly does. Passionate love is like ghosts, which everybody talks about and few have seen. You know you’re in love when you don’t want to go to sleep at night because your life is better than a dream. Passionate love is a garden where you keep sowing seeds and then one day you reap exactly what you have sown. It could be one flower at a time or a thorn at a time. Sow wisely. Being passionately loved by someone gives you strength, while loving someone deeply gives you courage. It is an act of endless forgiveness, a tender look which becomes a habit. It is louder than the pressure to be perfect. It can be felt more only when it’s shared between one another. The best passionate love is the kind that awakens the soul; that makes us reach for more, that plants the fire in our hearts and brings peace to our minds. These passionate love quotes will tell you a lot about loving a certain person and never giving up on them. In different phase of life, there might be high and low slopes but we realize how our loved ones help us to live our life and we want to love them harder.